Diverse nature, beautiful scenery, and a clean environment make Pohjois-Savo region an excellent place to visit. Pohjois-Savo is situated in the middle of Finnish Lakeland area. The surroundings offer a visitor variety of activities. Outdoor activities range from golf, fishing, boating and picking berries, among many others. Wintersports are also very popular pastime in Finland. There are over 31 000 summer cottages in Pohjois-Savo. Most of them, of course, are by a lake. If you want to spend your time shopping and visiting museums, Kuopio is the place to go. One of the most interesting sights in the city centre is RIISA - the Orthodox Church Museum of Finland. You can also hop on board one of the many local cruise ships at Kuopio harbour. The cruises travel on beautiful Lake Kallavesi, where you see fascinating nature, and charming small islands with Finnish cottages. Tahko ski resort in Kuopio is one of the main tourist attractions in the region. There visitors can choose from a variety of activities such as downhill skiing, cross-country skiing, ice fishing or having fun driving a snowmobile. In summertime, you can play golf on the two high quality golf courses. If you seek adventure and speed, ATVs and water scooters could be your thing. Sport & Spa Hotel Vesileppis in Leppävirta has the largest underground cross-country skiing arena in the world. The scenic Lohimaa sports fishing centre in Tervo invites visitors to experience various outdoor activities. 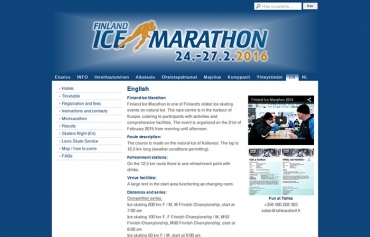 Finland Ice Marathon in Kuopio is one of Finland's oldest ice skating events on natural ice. 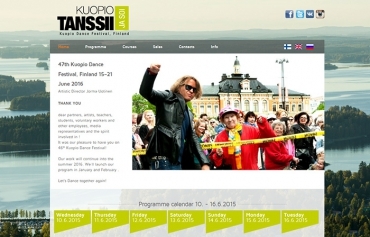 Kuopio Dance Festival is a week-long dance and music festival. The festival's programme consists of both performances and training. 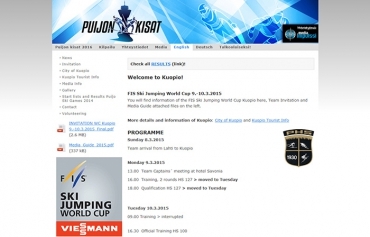 Puijo Ski Games is an international winter sports event held at Puijo Hill in Kuopio. 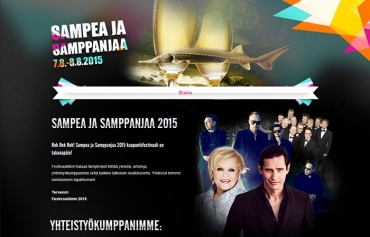 Sampea ja samppanjaa (Sturgeon and champagne) is a music festival held in Varkaus. It offers visitors a versatile setting of Finnish popular music and locally farmed sturgeon. Siilifolk is the largest folk music festival in Eastern Finland. 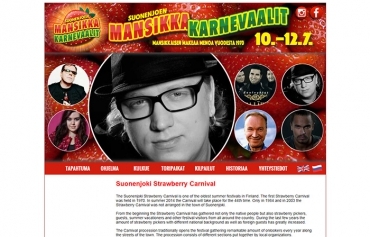 Suonenjoki Strawberry Carvival is a cheerful summer festival that revolves around music, competitions and of course strawberries. 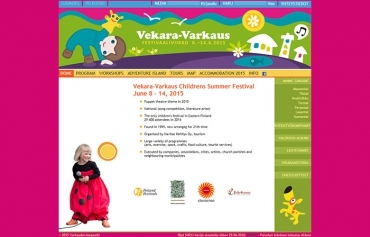 Vekara Varkaus is a seven-day long children's summer festival held in Varkaus. It has a large variety of activities for instance arts and crafts, sports, adventures, contests and concerts. 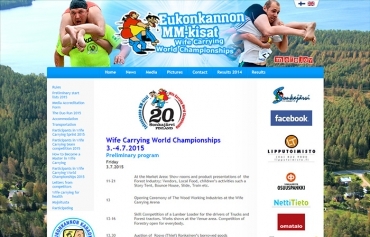 Wife Carrying World Championships is an entertaining sports event held in Sonkajärvi. It attracts participants from all over the world.